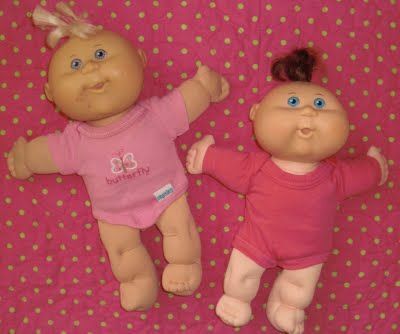 For those of you who have children / grandchildren with baby dolls, and who love to change them a dozen times a day, I found a great tutorial for making baby doll clothes out of old baby onsies. Doll clothes, if you can find them in the stores, are usually very expensive and normally not very well made. Baby doll clothes made from onsies can be very inexpensive, especially if you have a younger baby who is outgrowing all those onsies. OR, check out yard sales and flea markets for onsies at super cheap prices — last summer I was at a yard sale and bought 6 infant onsies for $1.00, and you just can’t beat that price for 6 little doll outfits! Care at Obsessively Stitching has a very clever tutorial for making the baby doll clothes from baby onsies. Check it out – you still have time to put together a few outfits for dolls for the kids / grandchildren before Christmas. These would make wonderful little outfits for the baby dolls in your family.